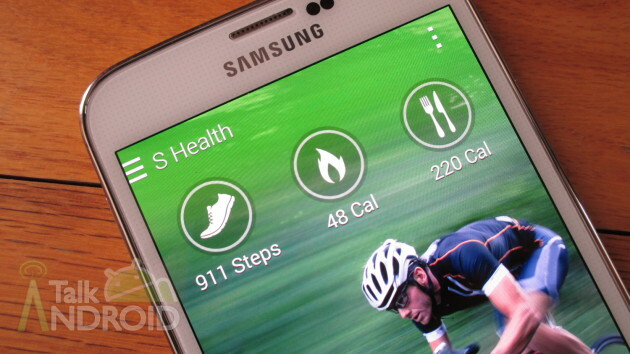 Samsung introduced S Health last year on the Galaxy S 4. so it’s no surprise that it showed up on the Galaxy S 5. The difference this year isn’t so much the app, but the marketing behind it. This year, health and fitness is a big part of the Galaxy S 5 since it also works in conjunction with the Gear devices. However, you don’t need those devices to use S Health. Just like last year, S Health can track diet and workouts pretty easily. You can use it as a simple pedometer to track all your steps throughout the day and/or track specific workouts. New for this year is a “coach” to help you achieve your goals. The “coach” isn’t limited to just diets and workouts, it will also assist you in controlling your stress and getting a better night’s sleep. In this video, I will walk you through the basics of S Health and how to get the most out of it, so hit the break to get started. Also be sure to check out our other Galaxy S 5 guides.